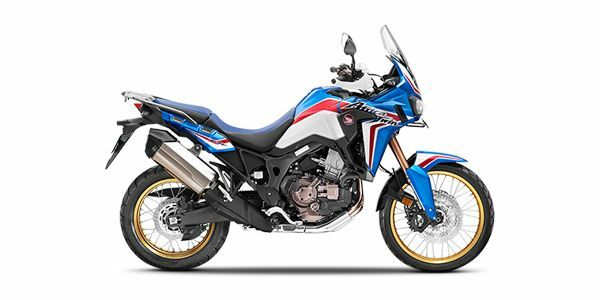 Honda has launched the 2019 Africa Twin for Rs 13.5 lakh (ex-showroom India). It carries a premium of Rs 27,000 over the older model, although remains largely unchanged. For 2019, the only update the motorcycle gets is the addition of the new metallic blue colour with golden handlebars and wheel rims. Honda CRF1000L Africa Twin prices start at Rs. 13.50 lakh (Ex-Showroom). Honda CRF1000L Africa Twin is available in 1 variants and 1 colours. What does the Africa Twin have to offer in a world of highly capable adventure tourers? If there was a Temple of Off-Road, Honda’s Africa Twin would be one of its leading deities. Does the all-new Africa Twin have the divine ruggedness of the classic, and hack its way as an all-rounder in its uber sophisticated segment? What else can you get for Rs 13.5 lakh?